The Penn Stater is seeking THON tales! 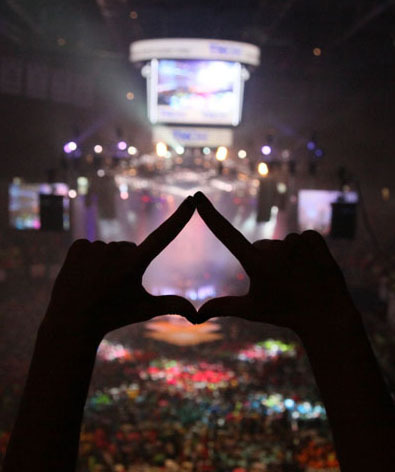 Alumni who participated in THON at any time in its history are invited to submit their stories to The Penn Stater magazine for an upcoming feature. The magazine is interested in hearing from those who danced, served on a committee, worked behind the scenes, or took part in any other way. Alumni are encouraged to submit anecdotes and other short memories (no longer than 250 words) about any aspect of THON: a canning trip, the preparations for the long weekend, and memories from the weekend itself are just a few examples. Whether heartfelt, funny, or quirky, the best of the tales will appear in an upcoming issue of The Penn Stater. Stories can be e-mailed to heypennstater@psu.edu or sent to The Penn Stater magazine, Hintz Family Alumni Center, University Park, PA 16802. Entry filed under: Uncategorized. Tags: THON.